Adam Reeder graduated from Mercersburg Academy and attended George Washington University. He worked on Capitol Hill for Congressman Bud Shuster and for several nonprofits in the DC area. 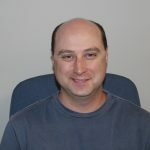 He also worked at Backboard as a senior project manager. 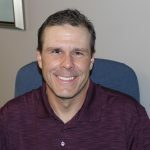 Mr. Reeder is currently the Chief Operating Officer at Ace Distributing in Wrightsville, PA. His daughter is a student in the lower elementary program. Angelique Ridore has a lifelong passion for human rights and women’s health advocacy. Her belief that the secret to achieving improvement in these sectors is via education of the next generation led her to choose the Academy for her son’s education because of the Montessori values of respect, diversity, inclusiveness, integrity, and responsibility. Dr. Ridore has a BA in biological sciences and a BA in Africana studies from Rutgers University. She received her Doctor of Medicine degree from New Jersey Medical School Newark, NJ. She is a board-certified obstetrician – gynecologist and chair of department of Obstetrics & Gynecology at Summit Health. Chrystal Miracle is the Director of Finance and Administration for Shippensburg University. She received her BS in accounting from Indiana University of Pennsylvania and her MBA from Shippensburg University. Chrystal has been in higher education for the past 30 years and has served on several nonprofit boards. 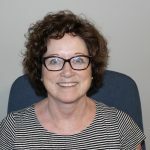 She understands that students thrive in all kinds of learning environments, and appreciates the unique learning environment that the Montessori Academy brings to children and to our community. 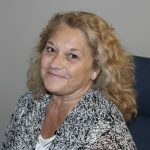 Diane Chamberlain is Director of Enrollment Management at Penn State Mont Alto. 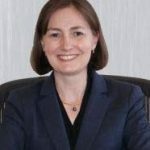 She has previous experience in private post-secondary education administration, corporate training, IT project management and business systems analysis. 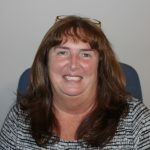 Diane has a BS in Music Education from Gettysburg College and a Master’s in Business Administration from Frostburg University. She serves the board as a representative of the business community. 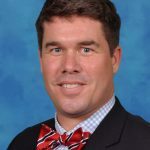 Ben Douglass is Director of Enrollment Management at Saint James School in Hagerstown. Ben has a BA in molecular biology from Kenyon College in Ohio. He has spent 18 years as a teacher, coach, and administrator. Montessori Academy has had several students attend St. James over the years, and Mr. Douglas is happy to lend some experience to a small school that does important work in educating great kids. Chris Brechbill is the parent of two Montessori Academy alumni who attended our school from Children’s House through eighth grade. He has a BS in dairy and animal science from Pennsylvania State University. He is a dairy farmer and the owner of Brechland Farms. Becky Jablin and her husband Peter Jablin helped found the Montessori Academy of Chambersburg in 1999. They are the parents of five children, two of whom are alumni of Montessori Academy. 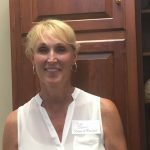 Becky served as the Montessori Academy Board Treasurer for 16 years and served on the Silent Auction Committee for 20 years. Becky has worked in the field of newspaper graphics and layout. She was a member of the Franklin County Early Intervention Task Force. She has a BA in English from Slippery Rock University. 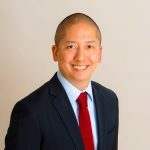 Wayne Ledinh received his undergraduate degrees in biology and history from the University of Virginia and his doctorate from Eastern Virginia Medical School. He completed a general surgery residency with the Christiana Care Health System, and his plastic surgery fellowship with the Cleveland Clinic Foundation. Dr. Ledinh is a plastic and reconstructive surgeon with Summit Plastic Surgery and Skin Care Center and is vice chairman of the Summit Health Department of Surgery. He and his wife are the parents of two children currently attending the Montessori toddler program. Lekha Patel discovered the Montessori Academy through her involvement with Leadership Franklin County. She is employed by Starr Insurance which is where she learned about Montessori culture and history. 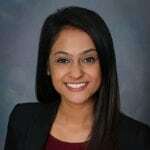 Lekha has a BA in psychology and a minor in biology from Shippensburg University. Prior to working in the commercial insurance industry, she was employed in banking. Gail Reeder is the grandparent of three Montessori students. She is a graduate of Lebanon Valley College where she received a BA in English. 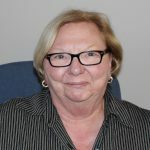 Prior to her retirement, Mrs. Reeder was the Director of Development and a development consultant for Mercersburg Academy. Sue Starr and her husband Mic were one of the founding families of the Montessori Academy. Both of their children attended Montessori from the toddler program through eighth grade. She has helped with the Montessori auction for the past 19 years. Sue has a BA in public relations from Westminster College. She was a stay-at-home mom and is currently an active volunteer with the Montessori Academy, Circles, Camp Joy-El, and Chambersburg Brethren in Christ Church. Suzanne Trinh is the parent of a current Montessori Academy middle school student. She is an attorney with Zullinger-Davis-Trinh, PC Law Offices. 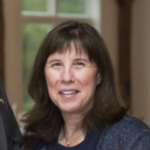 Suzanne has a BA in English from Mount Holyoke College and received her JD from Georgetown University Law Center. Terry Tritle has always had a passion about sharing her love of learning with others. She is literally a neighbor of the Academy since her corn field borders our playground. Terry has a MS in physics and mathematics and holds a Pennsylvania teaching certificate. 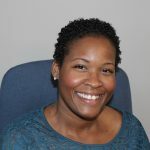 She taught in public schools for ten years and is currently the president & CEO of Tritle Directorship Inc.
Eric Walker and his wife Crystal-Collier Walker are the parents of three children, including two sons who have attended the Montessori Academy. Their older son was a student at the Academy for six years, and their younger son has been at the Academy for seven years. 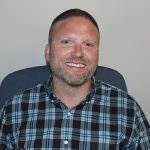 Mr. Walker has a bachelor’s degree in labor and employment relations from Pennsylvania State University and a Master’s degree in public administration from Shippensburg University. He has held positions with the Pennsylvania Association of Nonprofit Organizations and the Pennsylvania House of Representatives. He also has worked as a campaign manager and continues to work as a political advisor. Mr. Walker is currently employed with his family business, College Town, Inc., where he is the National Sales Manager for the Shippensburg Pump Company.